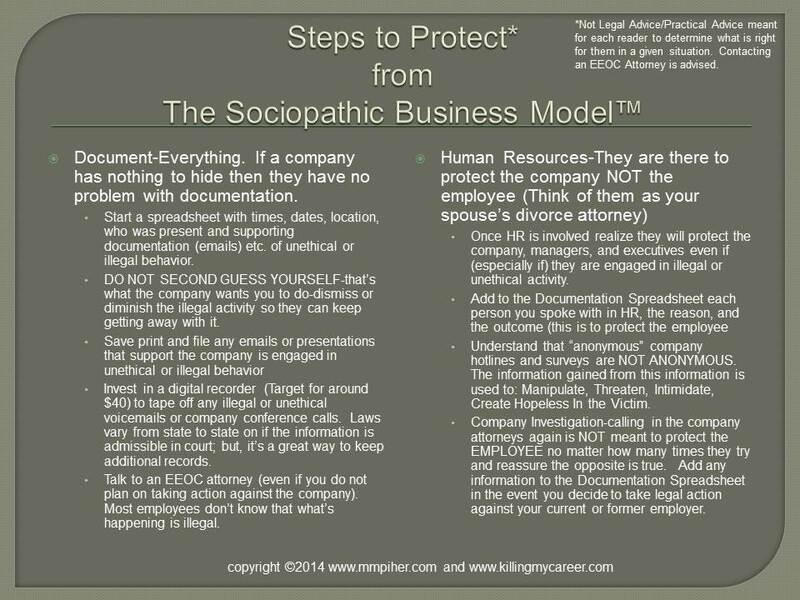 The Sociopathic Business Model™ is a three month in-office human resource, management accountability & legal strategic consulting program designed to teach corporations, government agencies and law firms how to: protect employees from workplace abuse, protect consumers & patients from harm or death, while reducing employee turnover & costly lawsuits by creating an ethical, safe, and abusive-free work environment. 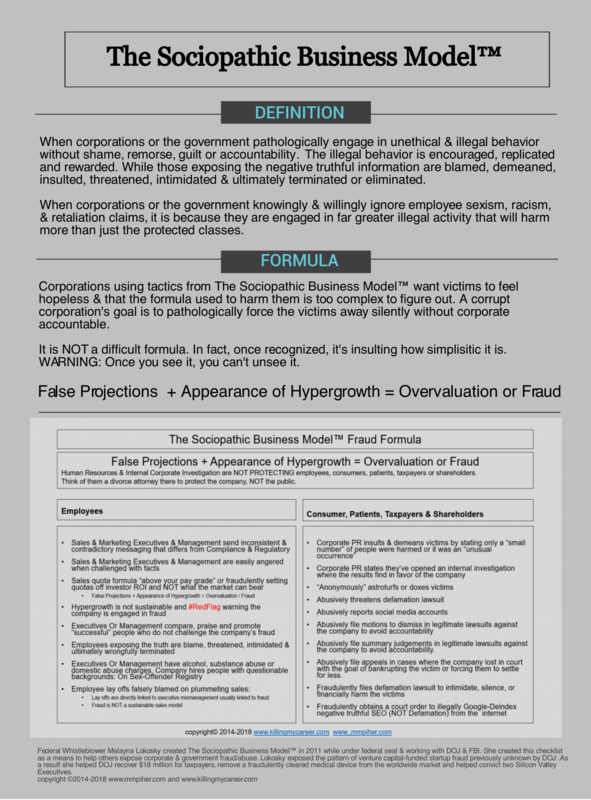 False projections manipulate the appearance of hypergrowth for an overvaluation which is fraud. 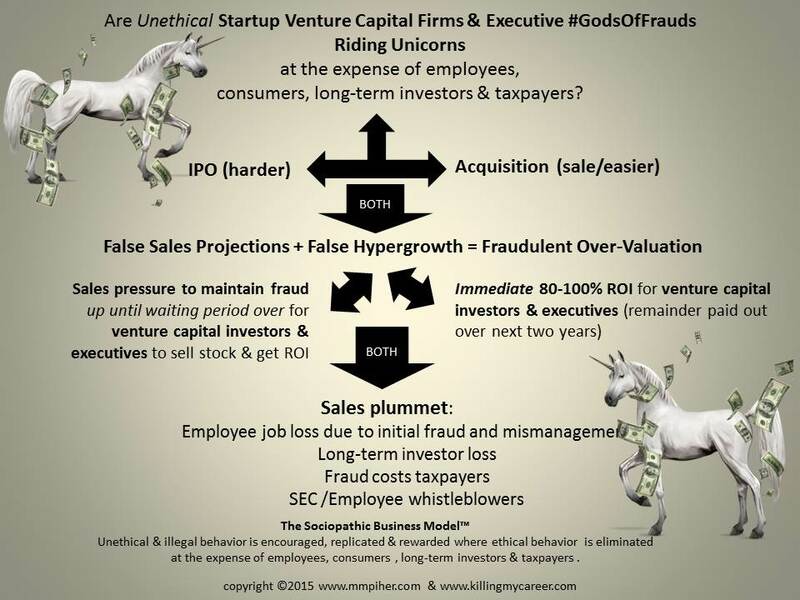 This formula, I’ve coined as The Sociopathic Business Model™, is very unremarkable & very common, despite what the #BoardWhores & #GodsOfFrauds of Silicon Valley would have the rest of the world believing. 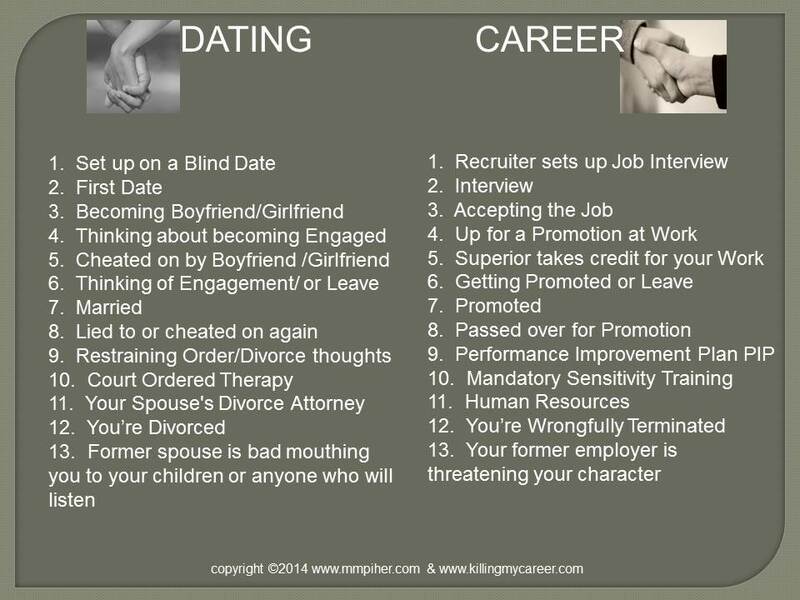 in part what I experienced and exposed while working for the startup Acclarent. This is also why I’m confident that my whistleblower case, which took the billion dollar blinders off and exposed the seedy secret of false projections to give the appearance of hypergrowth for overvaluations in venture capital, proved that the “bubble” popped as far back as 2008. 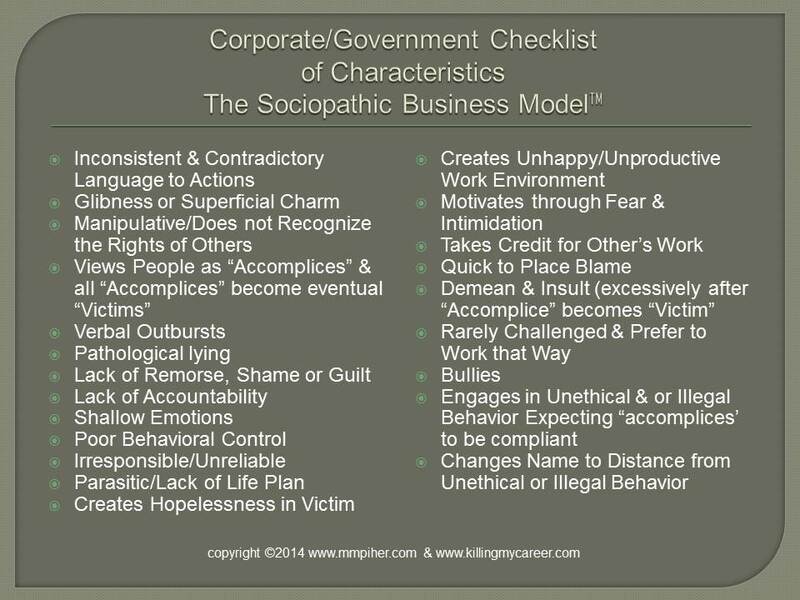 The Sociopathic Business Model™ gives rise for the need to help employees, consumers, patients, shareholders & taxpayers identify pathological corporate abuse/fraud, that’s encouraged, replicated & rewarded in today’s business model. Unrepentant, pathological fraud observed from venture capital funded startups to IPOs to conglomerates to our government must be exposed through #Forced Accountability by either traditional legal remedy or by use of media/social media exposing the corrupt company’s own negative truth. 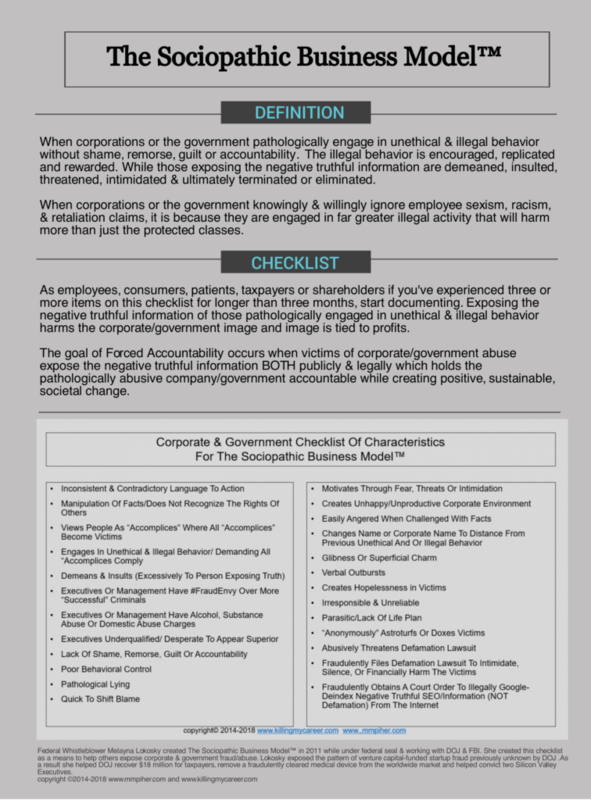 A company’s own self-damaged image is tied to profit; and, profit loss can force the abusive company to create positive change, which could prevent future fraud and turn injured victims of corporate abuse into empowered survivors.